An easy drop-in cartridge with 100 feet of acid free dot-matrix permanent adhesive. It works with the Xyron Mega Runner and Teresa Collins Mega Runner. 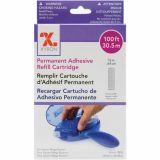 Xyron Mega Runner Permanent Adhesive Refill - XYRON-Permanent Adhesive Refill Cartridge. This package contains one refill cartridge for use the Xyron Mega Runner (sold separately). 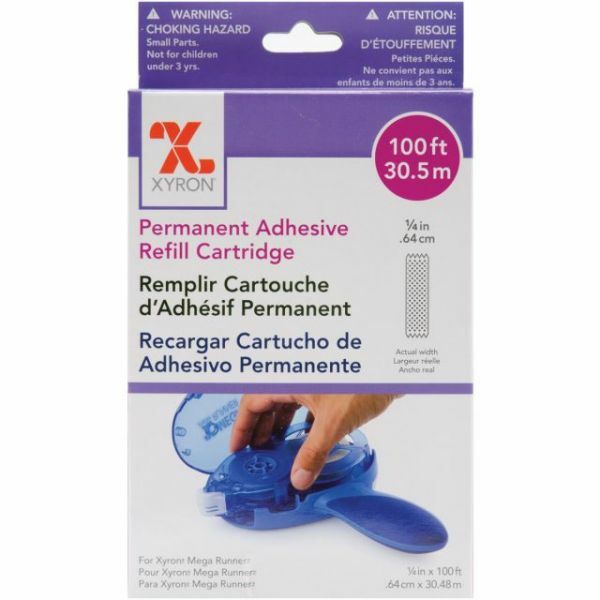 The cartridge holds 100 feet of 1/4 inch wide permanent adhesive. Acid free, non-toxic. Imported.